Our people come from a range of backgrounds, each bringing a complementary mix of skills and experience. We share a common belief in the power of communications to deliver positive social change and a commitment to delivering expert advice. By using a network of Associates, we have the flexibility to build each project team that is tailored according to our client’s specific requirements. This team set-up enables us to deliver a high-quality value-for-money service. Amy has extensive experience of devising and leading national and local behaviour change programmes. Before establishing Meadows Communications in 2011 she worked as an Associate Director for Forster, the London based social change consultancy. During her 14 years there, she led a wide variety of communications projects including social marketing scoping and implementation projects for the NHS and local authorities, brand positioning reviews and campaign development for charities, and communications planning and partnership brokering for private companies. She has extensive experience of leading audience insights research and facilitating workshops with a broad range of participants that have included Chief Executives, Board of Trustees, employees and vulnerable groups. Her past projects range from small-scale low-budget programmes to £1million national projects. She has specialist issue experience of parenting, cancer and smoking and is particularly interested in and committed to working to improve mental health and well-being. Amy is a Trustee of the McPin Foundation, a mental health service-user research charity and Founder of the Judi Meadows Memorial Fund, a suicide prevention charity. Julia Brown is a communications strategist and copywriter with over twenty years’ experience across the public, private and not-for-profit sectors. She was Senior Creative Consultant at Forster for seven years, where she developed brand strategy and positioning, verbal identity and key messaging for clients including WaterAid, ActionAid, Gingerbread, YoungMinds and Global Generation, as well as numerous campaigns for COI and the Department of Health. Her approach combines sharp strategic insight, clear conceptual thinking and strong creativity to deliver resonant, high impact brand identity and messaging. She has recently successfully completed the brand enhancement work for Children England and London Community Resource Network. Amanda has worked in communications for 20 years, including 12 years at Forster Communications. In that time, she led the Government’s campaigning work around teenage pregnancy (Are you thinking? ), sexual health (Want respect? wear a condom), drug misuse (Frank) and knife crime (It doesn’t have to happen). She has also delivered programmes targeting young people for the Young Women’s Trust (formerly known as YWCA) on the Respect Young Mums campaign, Young Minds on young people’s mental health, and Positive Futures, a Home Office initiative to engage at risk young people in sporting activities. In 2016 Amanda led a significant rebranding project for Prostate Cancer UK and she also undertook the rebrand of Women’s Sport and Fitness Foundation to Women in Sport. Together with Amy, she has reframed the brand proposition and messaging for Time to Change, Making Every Adult Matter (MEAM coalition) and NCVO’s Charities Evaluation Service. Amanda advocates the use of behaviour change techniques to develop effective communications. Anna Davidson is a PR consultant and journalist with more than 20 years’ experience working with private and public sector clients including Logica, Close Brothers, ABN Amro, Financial Dynamics, Scope, Great Ormond Street Hospital and more recently Nesta. She has also worked as a reporter and producer on news and current affairs programmes for the BBC. Her areas of expertise include corporate communications: devising and implementing communication strategies, media relations, media training and events management. Helen is a creative consultant with over 15 years experience in creating innovative and high-impact design solutions for organisations working on social justice, health and environmental issues. She has worked for a number of highly reputable London agencies including The Team and Good Agency and produced high impact creative work for charities such as Shelter, Anthony Nolan, Alzheimer’s Society and many more. Her brand positioning projects includes the rebranding of the RNIB, and brand refreshes for The Stroke Association and Parkinson’s UK. One of her core strengths is to bring intuitive understanding and strong empathy to enable me to reach to the heart of issues. Jo has undertaken qualitative market research for 20 years and she has worked for top agencies in London and Edinburgh. Her areas of expertise include creative development, media and advertising, concept and product testing and health education. She has delivered insights for household names such as The Body Shop, L’Oreal, Bass Taverns and the BBC. Her past clients also include national and local statutory bodies, for instance, Health Scotland and NHS Isle of Wight and charities such as Scottish Arts Council and Help and Care. 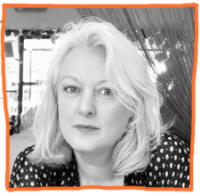 Emma is a highly experience PR practitioner who has spent over 18 years delivering integrated communication programmes. With agency and in-house experience Emma has the ability to adapt her knowledge and skills to produce and implement compelling communications across a range of platforms and for a variety of audiences. A skillful media handler Emma’s hands-on experience ranges across print, broadcast and online media. Former clients include Barclays, the Home Office, Department of Health, RSPB and the Legacy Promotion Campaign, a consortium of charities. Recent projects have focused on building stakeholder collaboration in the public sector: developing and implementing communications strategies for local authority and police Crime and Disorder Reduction Partnerships to address binge drinking; and running regional workshops to help health and social care Commissioners communicate effectively with Local Involvement Networks (LINks).